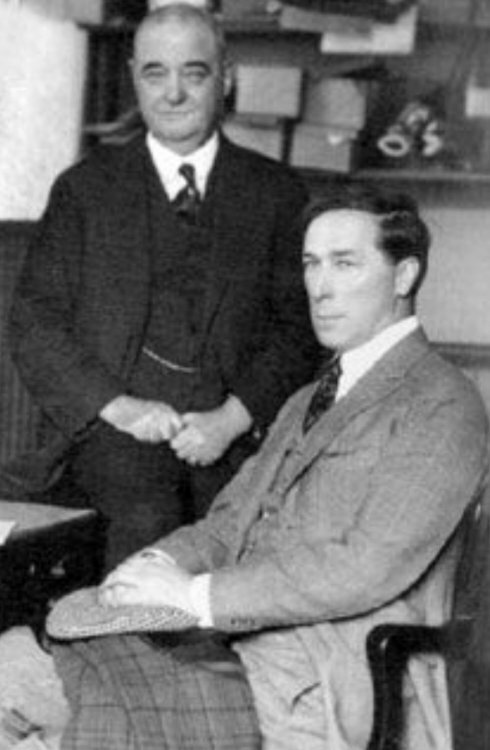 Here is a pic of 67 year old Bat Masterson with the first cowboy silver screen star William S. Hart. Hart is sitting in Bats chair that he sat in while working at a journalist in New Your City. Bat would die in that chair 18 days later of a massive heart attack. In my opinion Bat really was never given the credit of being the western figure that he was. He lived a whole lot in his years. He was an active participant in the Battle oF Adobe Walls, scout, successful buffalo hunter and very active lawman that survived many scrapes over the years. Quite often you will hear jokes about him in western movies. I think the thing he is probably most guilty of is outliving them all. He was even appointed by Teddy Roosevelt to Deputy US Marshal in NY from 1905-1909. The life these men lived is pretty amazing to me. It seems most of them were always on the line between law and lawlessness. I bet not a one of them would have instagram account today LOL. My love for old west history has been rekindled lately, which is the number one reason I joined SASS. Just thought some of you might enjoy it. Bat is one of the most underrated folks from that era. I write the text on my iMac, then down the pic on my phone, there is usually less than one minute between the two......slow down Lumpy, you'll get a more harmonious outcome LOL. I hadn't seen that photo before. There's actually moving film of Bat Masterson at a boxing match, but I'm drawing a blank on which one. Apparently his initial ties to the sport were working as a gate guard, collecting tickets and employing his expertise at finding hidden weapons. Bat Masterson was an amazing man. I'm surprised he lived as long as he did! I always thought it was an injustice to cast Gene Barry as Bat Masterson in the old TV series. Bat Masterson was one Bad Hombre! Anyone who wants to read about his life is in for a treat. His is an amazing story. Thanks Deuce. I agree with you! Bat's copy boy was Damon Runyon, who would later write stories about Broadway in the Roaring 'Twenties and the 'Thirties, including "The Idyll of Miss Sarah Brown" which would be made into the play and movie "Guys and Dolls" with Frank Sinatra and Marlon Brando. Brando's character "Sky Masterson" was supposedly based on.....guess? Without an understanding of history, it is hard to appreciate what we are celebrating as SASS shooters. 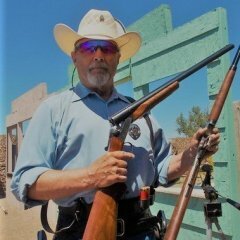 In no way am I a Good Guy with the White Hat or the Bad Guy with the Black Hat, but I do love the history of the Old West after the Civil War to about 1905 or so. I think when the Tin Lizzy showed up, the end was official. I live in Denver now but had the chance to live in southwest Oklahoma in the 1950's and work throughout Texas from 1970's to 1990's. What a true change in Society in such a short period of time. It wasn't perfect by any stretch of the imagination, but it was the time of unbelievable migration across the Nation. But...but... He shaved off his mustache! I recommend you get a copy of Dodge City by Tom Clavin. Tells the story of Wyatt Earp and Bat Masterson with equality, if not more heavily wieghted on Bat that I have ever read before. I will do that! Thank you for the suggestion. I believe Bat was also a sport's and feature writer for different paper's during his time in NYC too. William S Hart was a very interesting fellow too. He was born in the early 1860s and raised in Mo. when all the post war raids by the James gang, Youngers etc was going on. When he became a actor, he sought out western legends such as Wyatt Earp for their input and advice. He also hired REAL people to play the parts in his movies... I.E., the Stage Coach driver.... was indeed a Stage Coach drive... He followed this practice as much as possible. 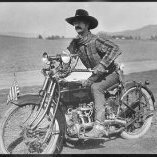 If you want to see the absolute closest view of what the Old West Looked Like... watch some of his Old Silent films... I recommend "Hells Hinges". 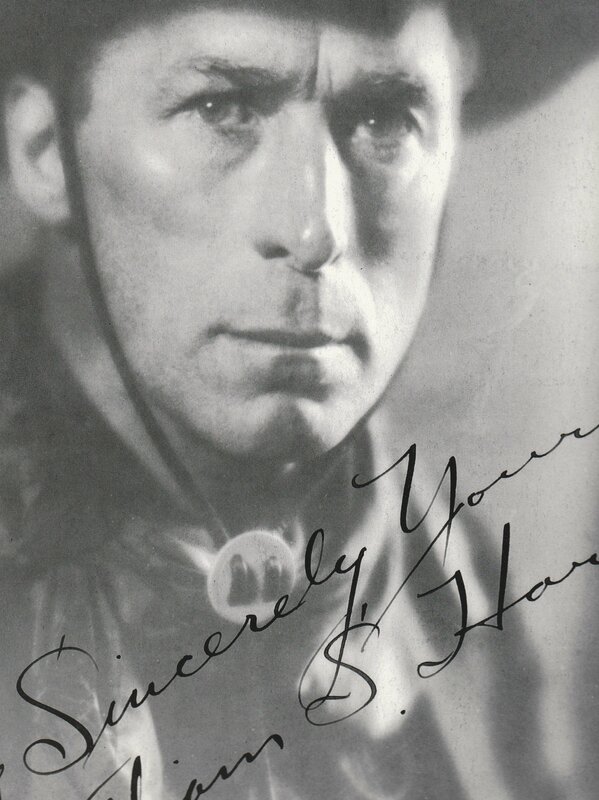 Hart was THE Super Star right up until his old age. He was knocked out of the position by Tom Mix... a fellow that My G Grandpa use to work with at the Miller Brothers 101 Ranch and Wild West show out of Oklahoma. Interests:hunting, cowboy action shooting,muzzleloading, archery,anything old west! I went and watched this movie again... IT'S GREAT. Every Cowboy Action Shooter should see this. It will put you "In the Mood"